College and high school lecturers give students the task to write literary essays in order to check students’ ability to examine, analyze, and sometimes evaluate a work of literature. Creation of a good literary essay seems sophisticated and time-consuming. We want to bust this myth by providing you with a simple scheme, which contains a tried and tested plan of actions. This will serve as a guide to help you through the whole writing process. The main goal in creating a literary analysis review essay is to convince your potential readers that you have supported the idea you are developing. It is not necessary to summarize the plot as your professor evaluates the way you’re analyzing the main ideas and conflicts of the book. If you want to make the process of writing a literary analysis productive, a consequent plan of action is a must-have for every student. When you know the structure, verbalizing your idea becomes easy. How to Start Writing a Literary Essay? PREPARATION: Are going to analyze a novel, a play, a poem or a short story? - Be sure that you know the peculiarities of the citation style of your future literature essay. Quotes have to be properly attributed with the correct page numbers and lines. It is better to specify this information at the very beginning. Darkness and Light in Anne Caston’s Narrative Poem “Anatomy”. “The Great Gatsby”: An Emotional Journey. Chaos and Structure in 'A Clockwork Orange' and 'Paradise Lost'. Trans-realism as the first literary movement of 21st century aiming to kill off ‘consensus reality’. Describe the process of the establishment of the genre. “The Picture of Dorian Gray”: The Conflict Between Morality and Aestheticism. Relate to the theme of the piece. Suggest how this idea is revealed by the author. Need help with writing a literary essay? INTRO: The introduction is the first paragraph with a HOOK, which catches the interest of a reader. It includes the author and the title of the piece and prepares the essay for the major thesis. So be careful when you start a literary analysis essay. BODY: The body paragraphs are the supporting paragraphs of a literary essay. It has to combine a support sentence, commentary, and a concluding sentence. Use literary techniques and devices in order to prove your thesis. Use specific quotes and examples to maintain your idea and cite them. CONCLUSION: The Conclusion is more than a typical summary as it has to synthesize the elements of the analyzed text. The importance of your literary essay should be illustrated in your conclusion and demonstrate that you have defended your literary argument. 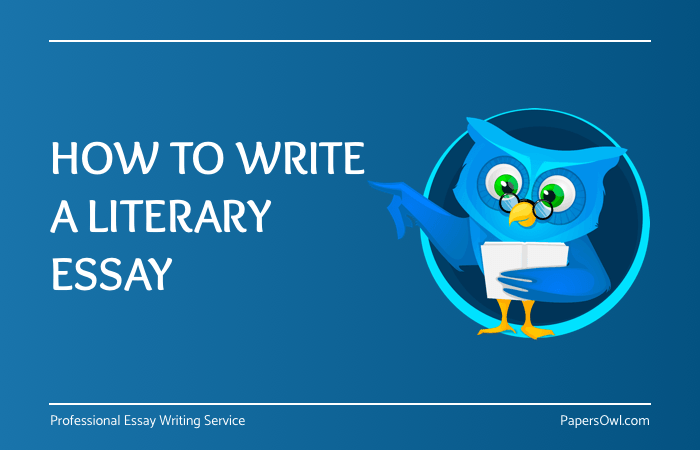 To make a long story short, it is the last paragraph in your literary essay which answers the “so what?” question your reader may have after reading your essay. Follow the 5 W’s before the beginning of your literary essay: Who, what, where, when, why. Know the exact requirements of your professor. It is high time to proofread your work. Done!